In last month’s webinar the Scopus team brought you an overview of Scopus. This month, Dr. Wim Meester, Head of Scopus Product Management, joins us to bring a more in depth look at Scopus content and how it is relevant to you. From journals to books to conference papers, how is content selected for Scopus and how does it bring you a full view of what’s happening in your research world? Look to learn more about Scopus content curation and the high quality standards each title must meet and retain in order to be included. 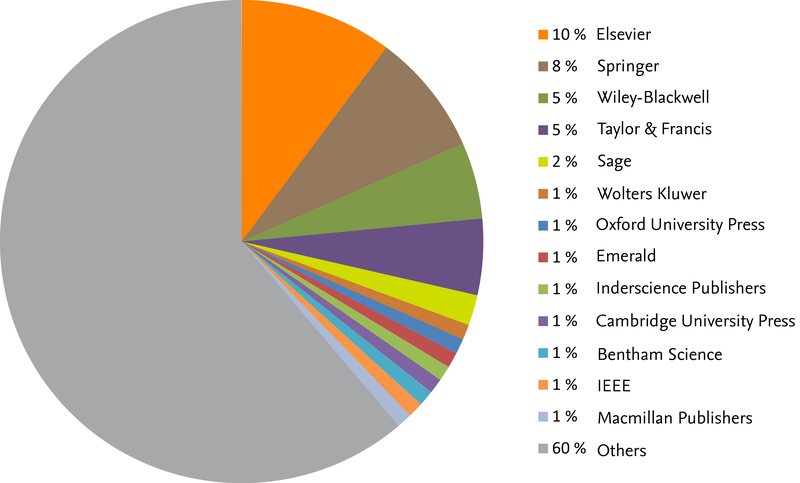 If you have questions about what is and is not included in Scopus, how far back content goes, what the coverage is for your area of interest, or how Scopus content coverage impacts author and article-level metrics, this webinar is for you. Dr. Meester will also share practical tips and tricks to help you get more from Scopus content. In July of last year, Scopus launched an open access (OA) indicator to make it easier for users to identify OA journals (click here to read more about Scopus and open access). In the initial release the indicator appeared on the 'Browse sources' and 'Journal details' pages. 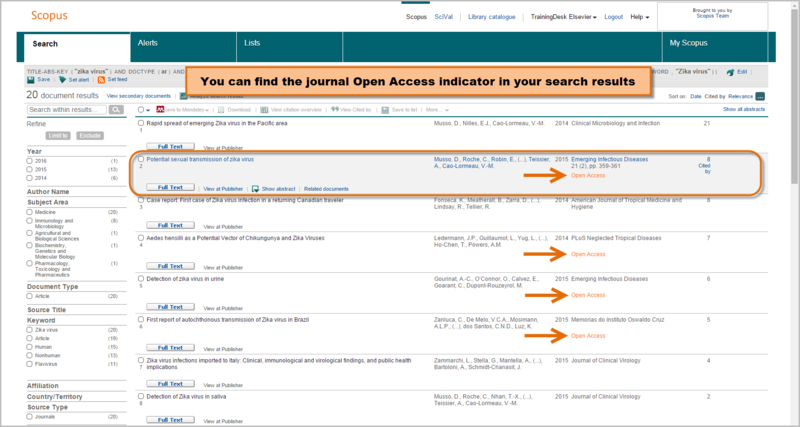 Now, as of February 4, 2016, the indicator appears in additional Scopus pages to make it easier for you to identify content that comes from an open access title (a journal registered with either the Directory of Open Access Journals (DOAJ) or the Directory of Open Access Scholarly Resources (ROAD)). These pages are the search results, list pages (temporary and saved lists), and author profile pages. View the images below to see how the indicator works in each page and then follow the tip & trick at the end of this post to learn 3 ways to search for open access journals (updated from this earlier post). Inspired by Jessica Kowalski’s recent Scopus webinar, follow this quick tip to check and correct your profile. During minutes 21‒25 of her webinar, Jessica speaks about the importance of accuracy in author profiles, especially in regards to career management (watch the webinar). Name ambiguity can impact the correct attribution of your work, career advancement and potential collaboration opportunities. For example, your Scopus details page (see example below) includes performance assessments based on the work identified with your name. As Jessica explains, to display this information, Scopus uses a powerful algorithm to disambiguate a paper and match it to the correct author profile(s). This algorithm analyzes information such as publishing history, author affiliation and co-citation behavior. However, although extremely sophisticated, algorithms can only go so far. The start of a new year is often a time of making resolutions, beginning new endeavors, re-evaluating and setting new goals. It’s a time to reflect on the past year and move forward — ideally toward a better and brighter path. One of the new paths the Scopus team is taking this year is to introduce an ongoing webinar program. Nearly every month, one of the Scopus team members will host a topical webinar to bring you more insight into the product, not only to improve your experience with it but also to answer questions about its content, capabilities and vision. Scopus has been experiencing issues with its Alerts system since December 28, 2015. This means that no Alerts have been sent since the 28th. 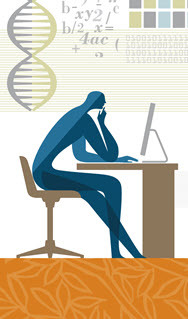 The root cause of the issue has been identified and the Alerts are currently being re-processed. We expect all systems to be working properly within the next 24 hours. We apologize for any inconvenience this might have caused and we will update this post (and social media) when the issues are resolved. 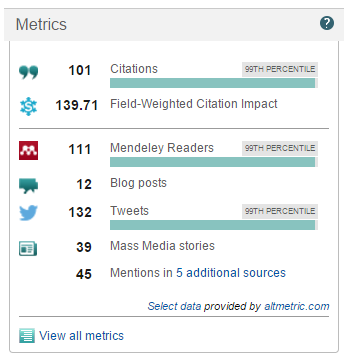 In July, Scopus moved away from the altmetric.com and introduced its own metrics module. Why? 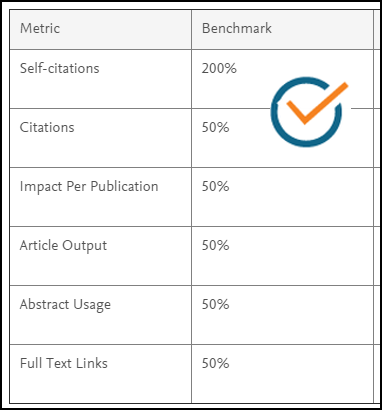 As shared by Elsevier’s Mike Taylor (Senior Product Manager, Informetrics) in a recent webinar, although the ‘altmetric.com donut’ was engaging, it didn’t quite give you an indication of how an article was performing compared to others. As 2015 comes to an end, it’s time to reflect upon the year and look at how Scopus has, and will continue to, evolve. 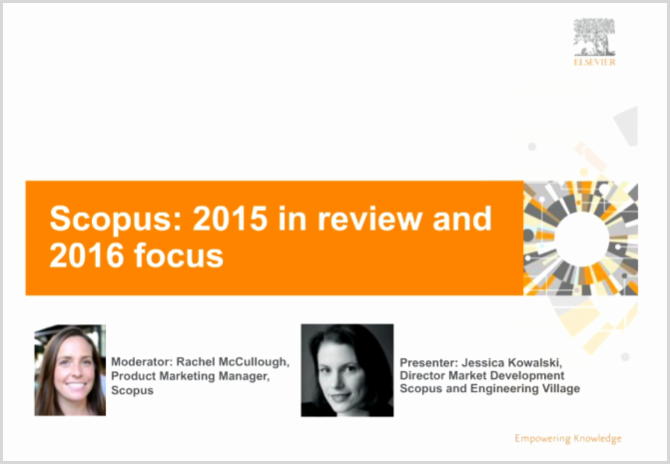 Over the next 3 days we share key 2015 Scopus developments and their impact on the researcher. Each post will cover a different focus. This post, part 1, covers content expansion and quality. The next post, part 2, discusses features and functionality. And the final post, part 3, will look at data partnerships. Personalizing your Scopus experience is easy - all you have to do is register for a Scopus username and password. By registering, you can take advantage of the personalization features Scopus offers to customize your Scopus experience. With your username and password you can create targeted lists for future projects or create alerts to see when someone has cited your work. To make your work efficient, you can also use the username and password to create a bibliography, save references, create alerts via RSS and download saved Lists.